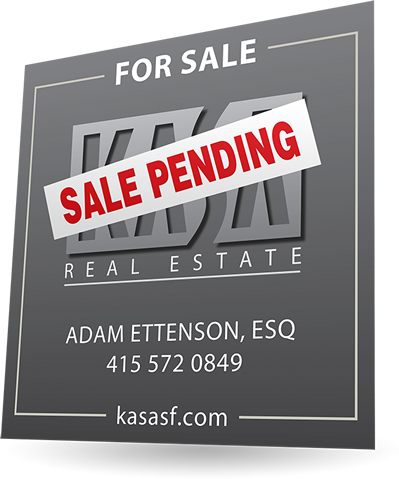 With many years of experience of successfully helping sellers maximize the return on their homes or investment properties, KASA Real Estate is the ideal partner to help you with the sale of your home. We are highly attentive to our clients' needs, and we use deep, strategic analysis to your advantage, leveraging the latest technology and traditional marketing when selling your home. That, along with hard-nosed negotiation, ensures that you can count on us to get it done, with unparalleled success. Selling one's home or property involves multiple considerations, complexities, and emotions. Whether you are selling your primary residence you've lived in for 30 years, or an investment property you've held for a few months, we at KASA Real Estate understand all that is entailed. We provide you with the guidance you need to make the right decisions to achieve your goals. We conduct extensive market research and analysis to determine how your home stacks up to other comparable properties in your area. In addition to analyzing your competition, we pay close attention to market conditions, time of year, and current market and economic trends to determine your home's likely fair market value. After a thorough market analysis, we create your seller's strategic plan, which is designed to achieve the highest sales price during the shortest possible time frame. We run different scenarios to determine the best strategic positioning of your home in terms of preparation and pricing, for optimal results. After thorough market analysis, we create your seller's strategic plan, which is designed to achieve the highest sales price during the shortest possible time frame. We run different scenarios to determine the best strategic positioning of your home in terms of preparation and pricing, for optimal results. The thorough preparation of your home is critical to achieve your goals – details matter. We have several trusted vendors to call upon to tackle big or small projects, and everything in between. 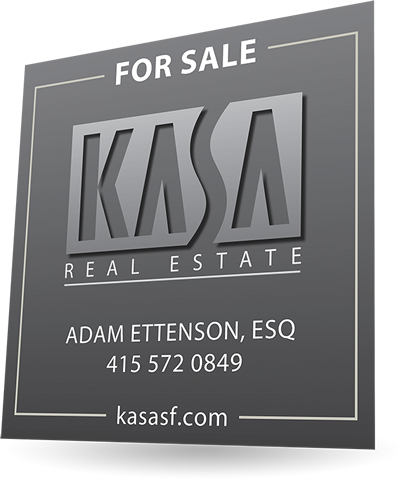 KASA Real Estate will help manage all renovations, repairs and upgrades deemed necessary. Staging is also critical. Good staging produces higher and better quality offers, and is indispensable. 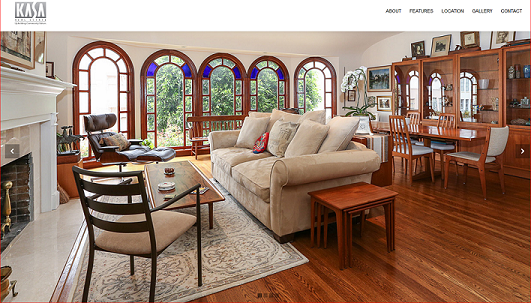 We produce multifaceted marketing campaigns to fully promote your property. Extensive exposure always brings the highest sales price. Our marketing team coordinates all aspects of the campaign from top to bottom. Our in-house photographer takes high resolution photos which we send to our web designers in order to build your property's custom website. We utilize the latest online technology to market your property, including 3D interactive photography to transport buyers right into your home. Our graphic designer produces beautiful, high-end brochures and statements that make your property shine. And we hold multiple, extended-hour open houses and private showings to actively engage prospective buyers and their agents. As strong negotiators, we advocate tirelessly, fairly, and transparently for you to ensure that you receive the best price for your home with the most favorable terms. We oversee the entire selling process, supervising all details so you experience a successful and smooth close of escrow. 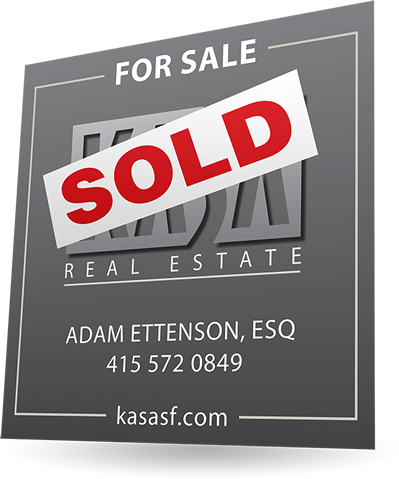 KASA Real Estate will make sure that you will net the highest possible return on your investment with the sale of your home or property. 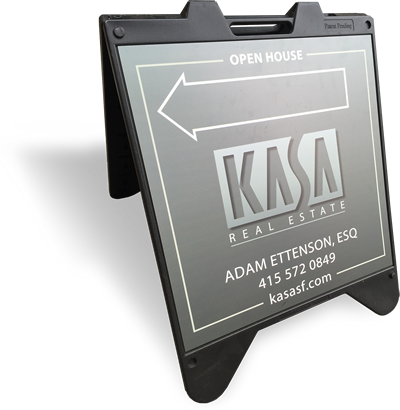 KASA Real Estate is ready to assist you in the sale of your home or investment property. Contact us to schedule a professional in-person consultation about how we can help you successfully sell your home and achieve your strategic goals.